I like the app but way do you have to purchase so you can use your contacts? Developers? 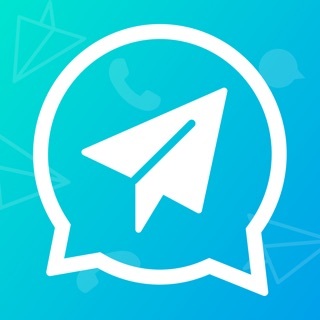 The contact tab purchase is more about paying for the functionality and extensive testing efforts related to extending the scanning capabilities to work with the letters of the alphabet compared with only numbers that are detected in the phone number detection. 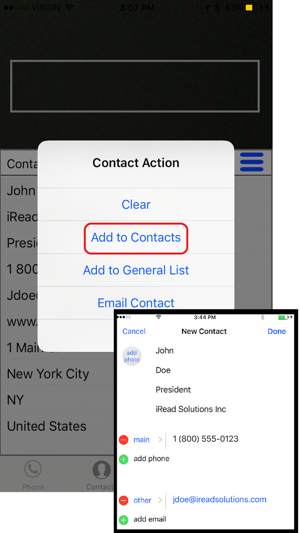 The contact tab is for people who want to saving time in typing in contact information and for some people that can be of value (i.e. worth paying for). Its not about access to your contacts. 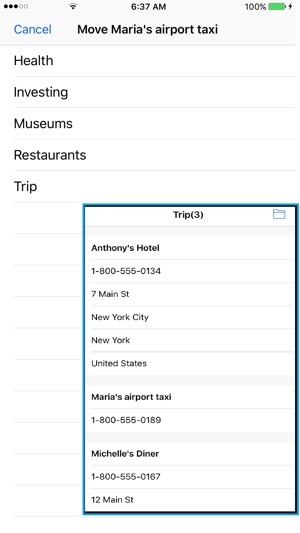 The contact tab is also a "launcher" - you can scan a simple web site and tap to view the website or gather a location address and open you map application to get directions. 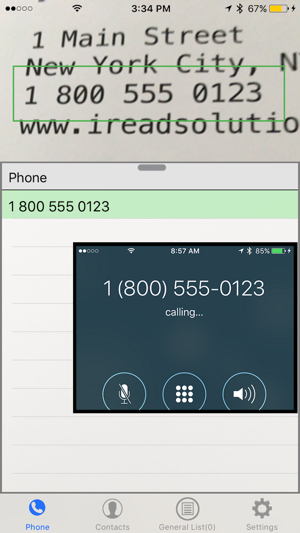 For others, who call phone numbers many times a day (for example looking up a phone number on their computer screen then manually dialing it), the phone calling part is all that would be of value. So to keep the overall price down, the two features are separate. Also, sometimes we offer the main app for free so people can get the phone calling feature for free. 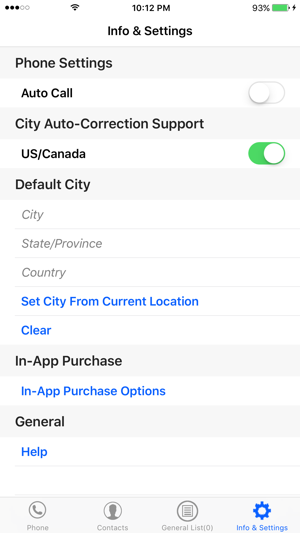 We hope those that may not find the contacts feature of value but do find the phone calling feature of value may purchase the contacts feature anyway, to acknowledge the efforts to produce the app and help pay to keep the overall app up to date with new versions of IOS. 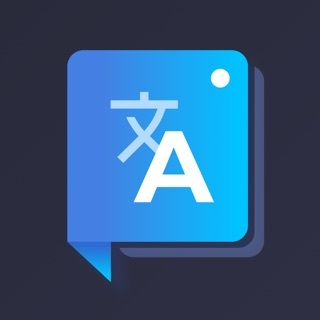 Nice app and practical. Point your cam to a number on a business card or even a screen to dial it. It misses only the option to add it to your contacts which can be done uncomfortably after dialing it. Another minus: It does not correctly format the captured number.